HOSPITALITY franchises that fail to keep up with changing tastes are increasingly at a disadvantage to the new generation of fresh, independent, evolving cafes. That's the view of Maree and John Ratcliffe, who owned Gloria Jean's cafes in Caloundra from 2006-2011 and in Buderim between 2005-2013 and have since launched independent cafes. The pair emphasised there were plenty of coffee franchise outlets turning a profitable dollar, but said franchisees were at a disadvantage because they were unable to make their own decisions on their business. Mr Ratcliffe said during their time with Gloria Jean's, most of the menu remained the same and was coming from the same providers. "The franchisor holds all the cards as far as products that you sell, who you buy the stock from," he said. "If that franchise becomes old or unprofitable, you're stuck. There was just no change within that brand." The pair could see "a shift happening" in customer preferences, and made a well-timed exit. "When we first got into Gloria Jean's, the general public were really upbeat about franchises and Gloria Jean's coffee was about the best you could get around that point in time," Mr Ratcliffe said. "Then all these independents started opening, and people really enjoyed going to really unique places. We could see there was a bit of a shift happening. "We'd also had quite a lot of experience by that stage, and we were keen to put our own flavour on things." Mr Ratcliffe said hundreds of people across Australia would be unable to sell their businesses because of media coverage over embattled franchisor Retail Food Group. "That's the sad thing about it," he said. "Really, the franchisor ultimately controls which direction the brand heads in, and it hasn't gone in a good direction." He said in a constantly evolving environment of foodie trends, large-scale franchises weren't keeping up. "People want better quality coffee, better quality service. They want something different and these franchises aren't changing fast enough. "They're still doing the same thing they were doing five or six years ago, whereas we can change something in a week." Since leaving the franchise, the pair have opened two successful independent cafes and are about to launch their third, the latest in partnership with Ben and Kelly Brodrick. 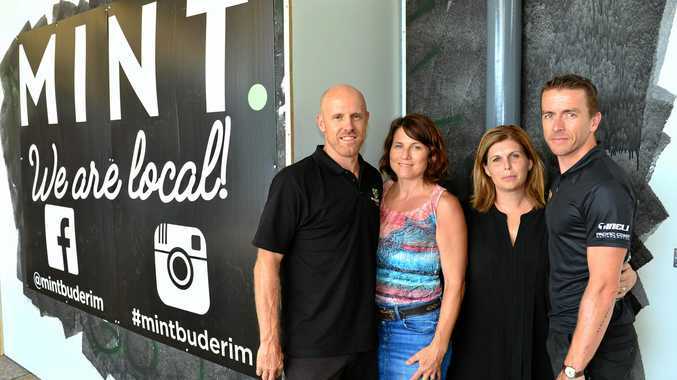 MINT Buderim, set to open on April 3, is nestled in the same premises where their first Gloria Jean's shop once stood, bringing the Ratcliffes' hospitality careers full circle. "Rather than having a franchise businesses up there we can have an independent business, where we can tailor to the market right now, and have products in there that are new and exciting and different," Mr Ratcliffe said. "And two months down the track, if some of those things aren't working we can change them, we can tweak it. "It's just nice to have control over what you're doing." Mrs Ratcliffe said the two cafes were built on healthy food and an ideal environment for busy families. "It was a passion of ours as well, to create that," she said. She said they had worked their "backsides off" to get each business off the ground. "It's really rewarding when it kicks off, but the two independent businesses that we've started have by no means flown quickly," she said. "You've got to be really passionate about what you're doing. "You've got to love what you stand for and the product you're offering to people, because if you're only half-hearted, it's never going to work." Mr Ratcliffe said while he learnt plenty in his time owning Gloria Jean's cafes, he advised prospective, inexperienced cafe owners against using franchises as a training ground for their first cafe experience. The Buderim Gloria Jean's cafe, which shut down just days before Christmas after the owner's desperate efforts to sell, was an example why. The owner told the Sunshine Coast Daily every time a buyer enquired, advice from Retail Food Group that the store would need a $200,000 refurbishment foiled any chance at an offer. 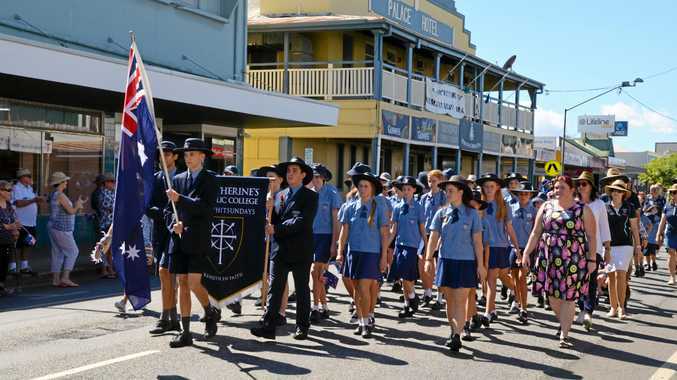 "You had a guy who had no experience whatsoever and was not getting support from the franchisor, and the business just didn't succeed," Mr Ratcliffe said. He said anyone who was thinking of launching or buying a hospitality business should get a job in the industry first to rack up experience. "If you go and do your own cafe, you need experience to be able to do it properly."